He was born in Moncófar (Castellón, Spain). He studied in Valencia and Madrid Conservatories with Prof. Juan José Llimerá, Prof. José Rosell and Prof. Francisco Burguera. He is a former member of the Spanish Young National Orchestra with Prof. Daniel Bourgue. 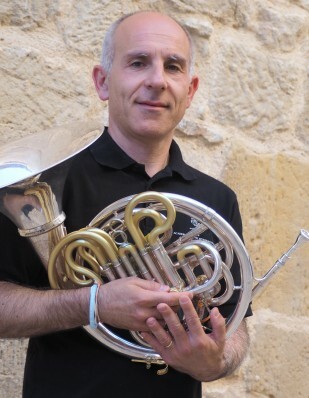 Amadeo is member of several music chamber groups, as Zaragoza Wind Quintet, Trio Top, Pirena Brass, Cesaraugusta Brass Quartet and Zaragoza Enigma Orchestra. Since 1990 is french horn teacher in Zaragoza Music Conservatory, Spain.